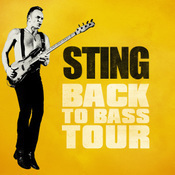 Sting.com > News > Has Sting or his music ever inspired you to do something extraordinary or life changing? Has Sting or his music ever inspired you to do something extraordinary or life changing? Has Sting or his music ever inspired you to do something extraordinary or life changing? If the answer is yes, why not visit the Community area and tell us about it? At the end of May we'll randomly select from the responses submitted and the winner will receive a cool piece of memorabilia signed by Sting! Check out Farm Aid's tribute and join Sting in wishing Willie Nelson a happy 80th birthday at http://happybirthdaywillie.org! On Tuesday, July 16, Sting will perform at the Montreux Jazz Festival in Montreux, Switzerland! Tickets will go on sale beginning tomorrow, April 19 at 10AM (local time). There are a variety of options available, ranging from single-day tickets to passes for the entire Festival. For details, please visit http://www.montreuxjazzfestival.com/2013/en/tickets/buy. This now completes the itinerary for the Back To Bass Summer 2013 tour…we hope to see you on the road!